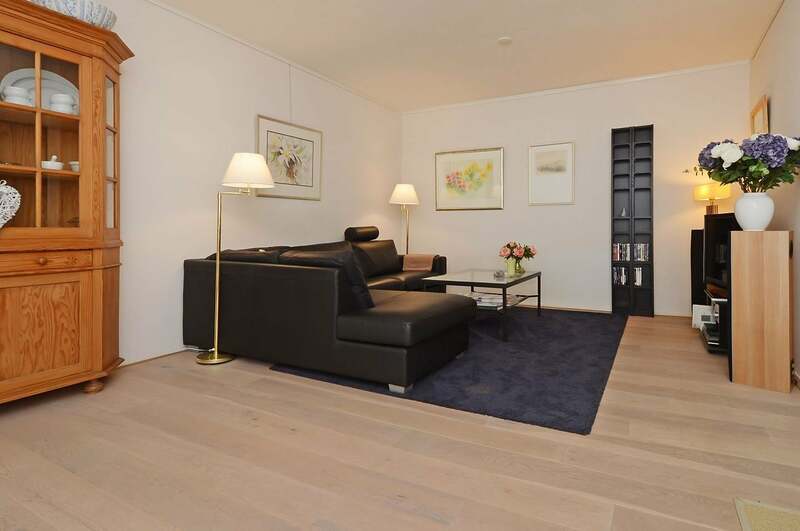 Spacious, fully furnished apartment in the beautiful Componistenbuurt, close to shopping centers and public transport. The apartment is on the first floor and can be reached via a lift or stairwell. Upon entering the large hall with fireplace stands out surprisingly. Next to this hall is a spacious, light living room with a modern open kitchen and a sunny balcony. The kitchen has all modern appliances.There are also two bedrooms and a room used as a walk-in closet. At the back is a second balcony. The bathroom has a walk-in shower and beautiful sink. Toilet is separate. There is a storage room for bicycles, a separate storage space and a parking space behind the building.